Ranked as Best Buy in March 2012 Runner's World, the Brooks PureFlow! Check out the review at Runner's World Shoe Lab! I like the innovation with the laces. 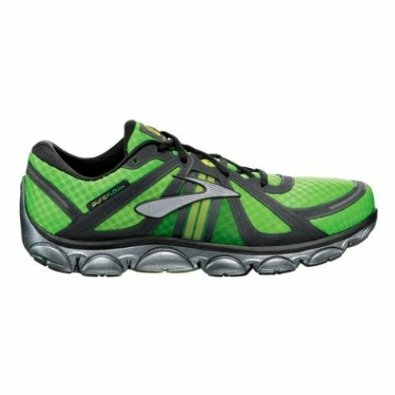 Suggested retail is $90 but this looks like a great shoe for long distance racing/ fast training.